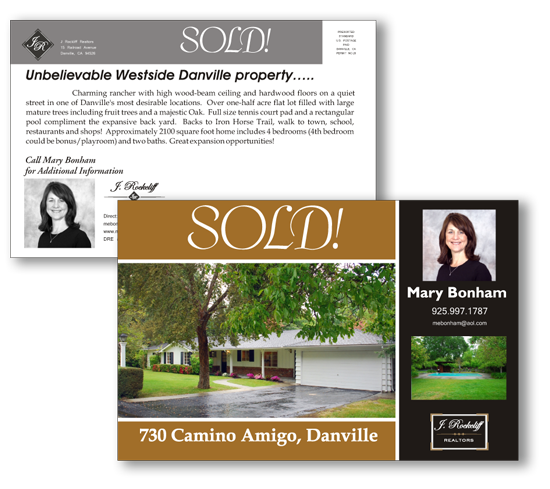 Using black and white on one side of your postcard, and color on the front, reduces your cost, but does not reduce the impact of this great advertising piece. This a great way to announce to your farm, “Yes! I sold this home, and I can sell yours, too”. An excellent way to keep your name and face in front of potential clients. Jumbo sized postcards - 8.5" x 5.5".